The man who’s always there: Carter Burwell’s collaborations with the Coen Bros. Blood Trails is nothing but a bunch of other things seen in other flicks. An enigmatic lunatic chases his victim thru a forest killing her date and whoever appears in the way. The end is completely unoriginal as expected for a thing that made rip-offs of other horror stories of this kind. The movie got me really tired and I've tortured myself seeing it till the end. 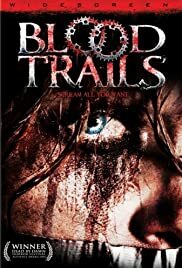 There's bad movies out there and Blood Trails is one of them. Finito. I don't have anything more to say, but let me tell you this: You will be more satisfied seeing "Love Boat" or Walt Disney's Donald Duck & Uncle Scrooge adventures... believe me. 32 of 56 people found this review helpful. Was this review helpful to you?